A native of Nigeria, Dr. Adeniji received both his undergraduate and medical degrees from Ogun State University’s Obafemi Awolowo College of Health, in Sagamu. He attended the Robert Wood Johnson Medical School at the University of Medicine and Dentistry of New Jersey, where he completed his internship and residency programs in internal medicine. He completed a fellowship in gastroenterology at the University of South Alabama College of Medicine in Mobile, Alabama where he also served as a clinical instructor. He also served as an emergency room consultant for the Thomasville Infirmary in Thomasville, Alabama. 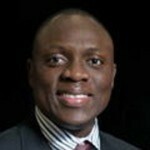 Dr. Adeniji is a member of several professional organizations, including the American College of Physicians, the American Medical Association, the American College of Gastroenterology, the Crohn’s and Colitis Foundation of America, the American Society for Gastrointestinal Endoscopy and the American Gastroenterological Association. In addition, he holds certifications from the American College of Surgeons’ Advanced Trauma Life Support course and the American Heart Association’s Advanced Cardiovascular Life Support Program.